In the complex and cost focused world of retailing you need a property specialist who can offer advice and services to encompass all of your needs to ensure that you obtain the best from your buildings at the lowest cost. At UKBS we have considerable experience in the retail world undertaking feasibility studies, surveys, design, cost planning and refurbishment schemes throughout the United Kingdom. Our range of schemes and our portfolio of clients ensures that we will deliver on time and on budget. Out of hours working, rapid response and central reporting ensure you receive the highest quality service at the best price. 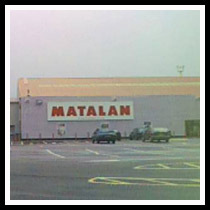 CDM Co-ordination, Building Surveying, Quantity Surveying and Project Management Services for re-organisation and maximisation of over 50 Matalan store stockrooms. Works included co-ordination of mezzanine floors, additional racking and associated Mechanical, Electrical and Security works. In response to Matalans increased stock level requirements, the stockroom capacities have generally been increased by approximately 50%. 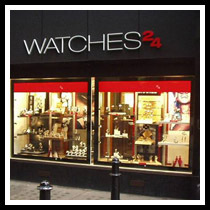 High quality refit for top quality watch brand in one of the most prestigious locations in London. 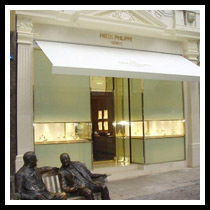 Prestige rebranding of store in prime location within the square mile of the City of London.